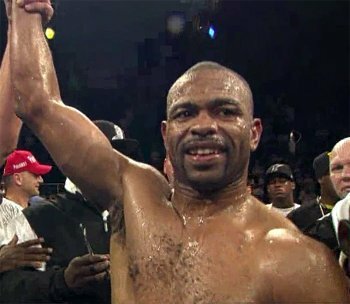 Roy Jones, Jr. responded today to the recent reports that he has been blacklisted and included into the “Peacemaker” database as a violator of the state border. “I came to Russia with peace in mind as I have been doing regularly for the past 4 years. I didn’t come here to offend nobody. I’ve boxed here, I’ve performed my music here, and my company, Square Ring Promotions, promotes or co-promotes fights and fighters here, including current IBO Champion Eduard Troyanovski. And over this time, I have seen how these people love Roy Jones and I love it when people love me,” said Jones. “Our friend, Vlad Hrunov, who we do a lot of boxing business with, said he had a boxing event this weekend and asked if I would come and perform some of my music at his show. I have a new album that just came out on iTunes so it made sense to me because Russia is a huge market for my music. He also said that there might be the chance to meet President Putin which was a huge honor for me. “I asked President Putin for a Russian Passport so that it would be easier for me to travel back and forth and also it would help me and my company businesswise. But this is nothing new. I have been talking about getting a Russia Passport now for a couple of years. “I know the Klitschko brothers have been itching to fight me, and it could be that this is there way of calling me out. So hey, if Vitali or Wlad want to settle this over a friendly sparring session for 12 rounds for the world heavyweight title anywhere in the world outside of Ukraine, including Crimea, they know how to reach me. Otherwise, this nonsense of Ukraine blacklisting me is a transparent attempt to politicize a legitimate business endeavor that we are pursuing with peace in our heart to help restore and build bridges between the East and the West.